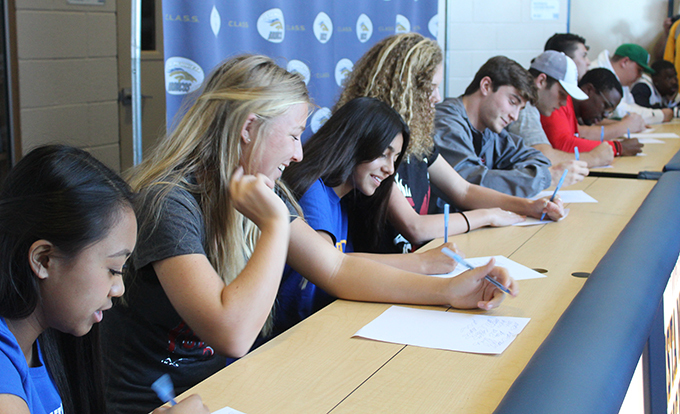 Student-athletes at Vista Murrieta High School sign their letters of intent during a campus ceremony on Wednesday. 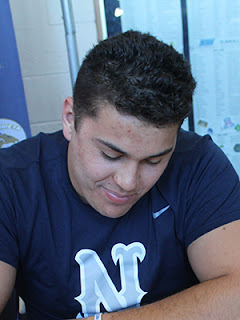 Eleven standout student-athletes representing four sports at Vista Murrieta High School were introduced to the media and a large crowd Wednesday while signing national letters of intent to accept college athletic scholarships. 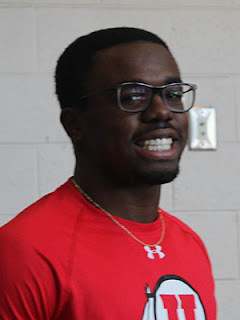 In what has become a tradition at the school, the athletes were praised by school officials for their efforts and posed for photos with friends and family members. "There are thousands of student-athletes across the nation who would love to be in your position," athletic director Coley Candaele told the athletes. "Only 1 percent of all athletes get to sit here. We are very fortunate to have you here and we challenge you to succeed. "We send you on to college athletics hopefully prepared and ready to contribute in any way possible. Accept the challenge." 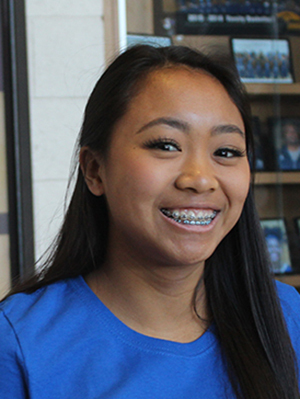 Rio, a 5-foot defensive specialist, helped lead the Broncos' girls volleyball team to a 17-10 record, 7-3 in league. Without compiling the big stats of players at other positions, her steady play all over the court helped make her a valuable part of the team. Her athletic play and scholarship will take her across the country to the college campus in the Bronx, New York. Bush actually signed her letter of intent during the fall but was unable to attend the school signing ceremony because of the girls tennis season. A versatile player for the Broncos, she was named Athlete of the Week Oct. 24 after sweeping her singles sets against Chaparral and doubles sets against Temecula Valley. 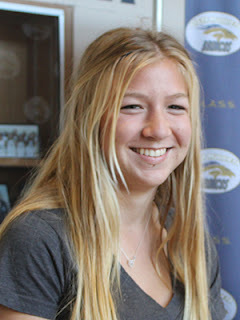 The senior midfielder is one of the standout players of a Bronco girls soccer team that is in first place in the Southwestern League with a 7-0 record and 14-3-2 overall. 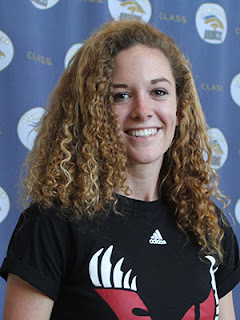 In addition to continuing her education in Riverside County, Conde will help bolster a UC Riverside women's soccer team that finished the 2016 fall season with a 5-10-4 overall record. Vanderhyden has five goals and four assists for the first-place girls soccer team. 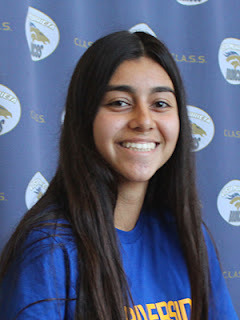 An Athlete of the Month for the girls tennis team in November, she was recently selected Athlete of the Week in soccer after scoring two goals and an assist in victories over Murrieta Valley and Murrieta Mesa. The talented midfielder will travel to the Eastern Washington campus near Spokane to join a team that was 13-5-4 last fall. Washington State, which finished the season 7-2 in the Pac-12 and 8-5 overall, is receiving a standout player in Dubots, who fought off injuries last fall to play a key role for the 9-3 Broncos. Dubots rushed for 635 yards and 3 touchdowns in 7 games. The previous season, he rushed for 1,064 yards and 15 TDs. Washington State recruited the 6-foot-1, 185-pound senior as a linebacker. Greeley, who also dealt with an injury this year, caught 6 passes for 267 yards and 3 touchdowns. 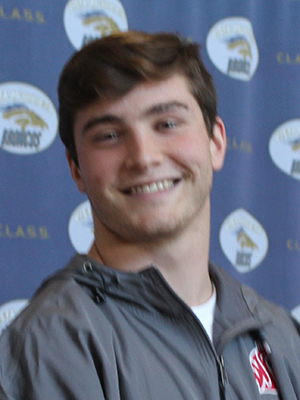 Most of those passes were thrown by his brother, quarterback Karson Greeley. 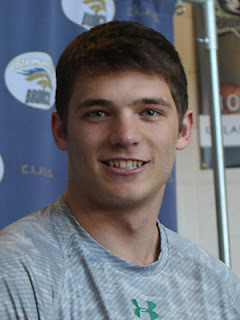 Impressed by his size (6-foot-6, 220), Hawaii recruited Greeley as a tight end. 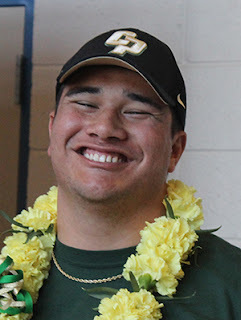 According to the Hawaii athletic department, he was rated the 17th best tight end in the state. His sister, Kalei, plays for the Hawaii women's volleyball team. Guidry was one of the Broncos' top running backs last fall with 589 yards and 3 touchdowns. He also caught 16 passes for 233 yards and had 38 tackles on defense to go along with 6 interceptions. Utah, which finished this past season 9-4, recruited Guidry as a defensive back. He was a football and track standout in Texas before moving to California. At 6-foot-4 and 260 pounds, Windham is an imposing figure on the line. He helped the Broncos' offense with his effective blocking and recorded 21 tackles on defense. Windham will be a welcome addition to first-year coach Jay Norvell's team at Nevada. The Wolfpack was 5-7 overall last fall. 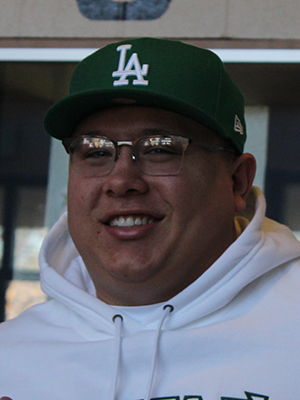 Linemen are not often selected as a school's Athlete of the Month, but coach David Olson and athletic director Coley Candaele showed how valuable Fa'aagi was to the team by selecting him for that honor in November. Fa'aagi, primarily a defensive lineman last season, played both ways this season for the Broncos. He was in on 64 tackles (38 solo) to go along with 7 sacks. Recruited by Hawaii as a defensive lineman, the 6-foot-4, 300-pound Mermea finished the season with 66 total tackles and 5 sacks. One recruiting service rated him as one of the top 10 defensive tackles in the state. Merma was also a two-time All-Southwestern League selection. 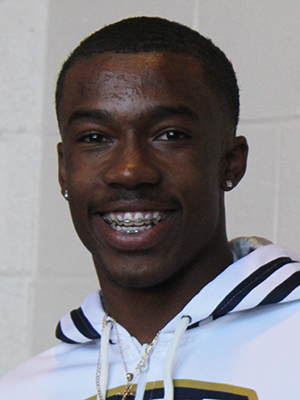 White, a 5-foot-10, 158-pound defensive back, finished his senior season with 49 total tackles and two interceptions. He played a big part in the team's defense on its drive into the CIF playoffs. White played for Morse High in San Diego his first three years in high school before transferring to Vista Murrieta, where he played football and basketball and will compete in track and field.